The world needs Iron Man. It was a rainy Friday evening when my parents decided that our family would to go to the mall after office hours to watch Iron Man. Arriving 30 minutes before run time, I grabbed a cheeseburger meal before joining my family on the second row balcony. The hype caused by Iron Man gave me an impression that my family was the only one who was not able to watch the movie backed up by the fact that the movie house was almost deserted. This film starring Robert Downey Jr. was in its third week already and I was happy I was able to catch it. For fans of this Marvel comics-turned-movie blockbuster, I don’t have to relay the story again. 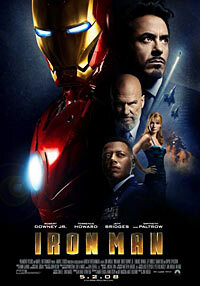 Downey was very good in portraying the incredible Mr. Tony Stark. I have observed that director Jon Fabreau was successful in choosing the right cast. My favorite character among them would be Pepper (portrayed by Gwyneth Paltrow). She was very true to her role as assistant while maintaining the glamorous aura as an actress. The ultramodern setting of Stark’s home was very realistic. Today, that kind of environment is absolutely possible. The effects were great, the digital surround sound was maximized, and the costume is not too grandiose. Product placement, on the other hand, was a little bit too much for me. How timely it is that Afghanistan was part of the movie. Right now, almost everyone can relate to the war scenes which are typical pictures in CNN and BBC. Many “hero” films will follow Iron Man and one would be “The Hulk.” Locally, television viewers are bombarded with superhero characters as well. In this time we need a true hero to save victims of poverty, hunger and international conflict. Maybe this is one of the signs of the times. I’ll give three and a half out of five stars for this well-packaged movie. Seven of us in the office today huddled on one computer monitor to watch the YouTube video of Charice Pempengco. Like Madonna Decena and Charlie Green (Filipinos who were featured in Britain’s Got Talent), Pempengco is the newest international sensation after she was featured in Ellen, The Paul O’Grady Show and Oprah. One very good thing is that she is a Filipino and she is someone I am very proud of. 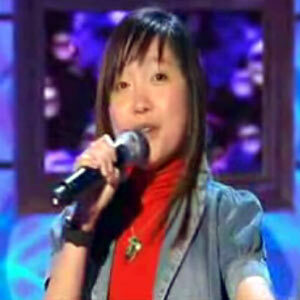 When Pempengco was first featured in the local news, I wasn’t really amazed by her talent. It is a fact that almost every Filipino can sing nicely. If you would go to videoke bars in the metro, you’ll see dozens of superstar wannabees who actually have good singing qualities. In one outing I have attended, a whole night wasn’t enough to accommodate all of us who wants a hand on the karaoke microphone. As a previous member of a college choir and presently a church singer, I can attest to the reality that there are a lot of promising singers here in the Philippines waiting for a big break just like those who are now in the limelight. I do not know if my memory serves me right but I remember one singer (is it lea Salonga?) commenting that children should sing according to their age. Pempengco is singing ‘diva’ songs at an early age and this is, obviously, not fit for her although she can reach the high notes with such power and maturity. Well, I am not aware if this may affect her voice when she grows up but Pempengco really has the guts and talent combined and mixed with luck, she is really one source of pride for Filipinos around the globe. Another person I am proud of is Ara Muna, a fellow Kapampangan who penetrated the national market. I found it weird, funny, but at the same time I was pleased that a Kapampangan song was in the airwaves when I was in Pangasinan as well as my latest visit in Manila. Good work! Townsfolk say that the number of islands in the Pinoy tourist spot ‘Hundred Islands’ are 123. I had neither chance nor patience to count but when I reached the view deck of Governor’s Island, the experience was breathtaking. 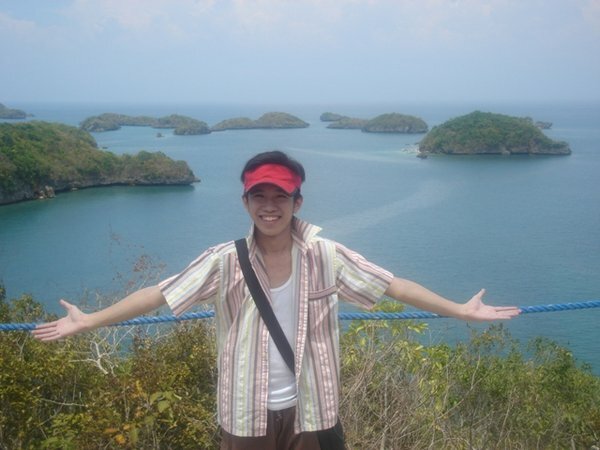 The awesome tourist attraction in Alaminos, Pangasinan is surely one place a Filipino should visit. This was my second time to visit Pangasinan, the first was in Bolinao. Known for mouth-watering sea foods, one restaurant made my family come back three times during our three-day visit – the grill located at the Hundred Islands Park wharf. Their sets of dishes ranging from fried local cuisine to grilled fishes were all sumptuous. The Hundred Islands are absolutely real-life wonders. I compare them to Bohol’s Chocolate Hills, the only difference is that they are larger mounds of earth floating on sea. My family visited around five out of the 123 islands and every visit was a different experience. Our favorite was the “Papaya (Lopez) Island” across the crowded Quezon Island. Papaya Island is a small patch of land with fine white sand. My Alaminos experience was generally fun but the only thing I didn’t want was the accommodation. There are no luxury hotels in the area and if you are a tourist from another country, the nearest 5-star hotel would be in Dagupan. I would suggest that tourist spend a whole day in Alaminos for a whole-day tour of the Hundred Islands then go back to Dagupan for check-in. This is one of the Pinoy wonders we should be proud of yet I wonder why the government was not able to develop the infrastructure and tourist area there. What did Fidel V. Ramos (a Pangasinense) do when he was President? We are in 2008 yet it feels like it’s the 80’s there. It should be given ample attention just like Boracay and Bohol, before it’s too late.